The creative design of Venum Zombie Return fightshorts will make you challenge yourself during your fights! Its ultra resistant microfiber, its reinforced seams, stretchy Flex-System fabric and side vents help you be more efficient, and more mobile in the ring. For quick and precise clamping, the Venum Zombie Return fightshorts are equipped with a locking system with a nonabrasive Velcro. 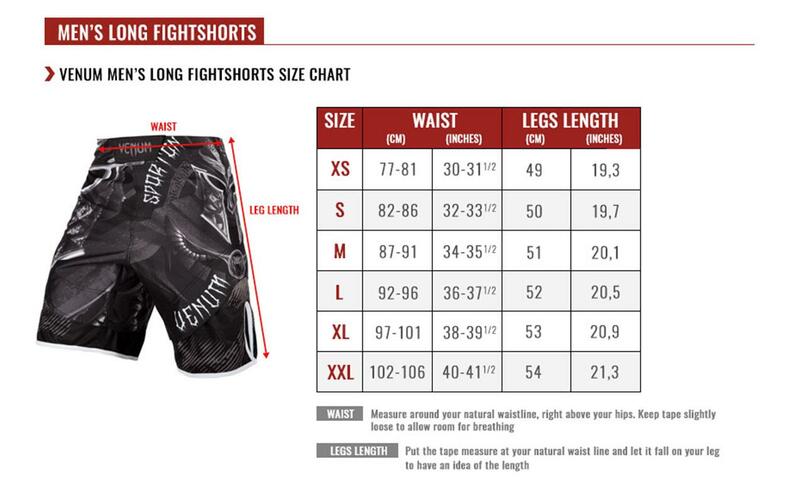 It's a Venum MMA shorts with strong character, ideal for intense fights!